BY INTEGRATING A BIKE PROGRAMME INTO YOUR OFFICE ENVIRONMENT YOU SUPPORT LONG-TERM HEALTH BENEFITS, BOTH PHYSICAL AND MENTAL FOR YOUR EMPLOYEES ON TOP OF WELLNESS AND DIRECTLY REWARDING YOUR STAFF AT THE SAME TIME. Try before you buy with our electric bike hire. A great a way of introducing electric bikes fleets into businesses and institutions. We provide the bikes, equipment and training to ensure safe, enthusiastic and informed uptake among staff. When encouraging staff to get on a bicycle in and out of work hours it is important for the employer to consider different employees confidence, safety and mechanical experience. That’s where our bike safety or basic bike maintenance workshops come in. We can create programmes, events and consult around cycling that will benefit your company. From food and beverage to delivery logistics, a wide range of industries can benefit from our swift, powerful, environmental and cost effective light electric vehicles. We know our bikes and how to fix them. Whether in store at our service workshop or a call-out. We service all manner of bikes. We can offer an attractive and comprehensive bicycle fleet package that includes full customisation, troubleshooting maintenance and periodic servicing. When you work with us your employees receive tangible benefits such as staff discounts and special deals. 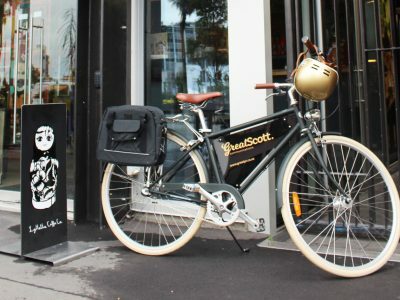 Great Scott knows great PR, with their sleek fleet bikes customised with their brand logo placard in gold lettering and matching gold Thousand helmets, The team at Great Scott exudes an aura of confidence, eloquence even before they get off their saddles. 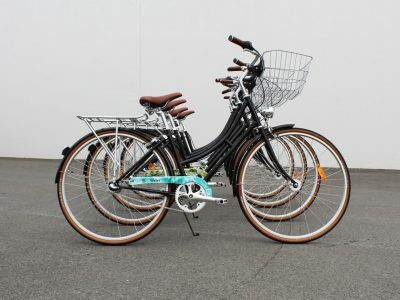 Seequent understands that having a cycle fleet at their Christchurch office is a great way for staff and clients to maximise the efficiency and enjoyment of short distance commutes around the city. On A Mission seeks to redefine logistics with new technology including a 100% electric vehicle fleet of 4 electric trikes. 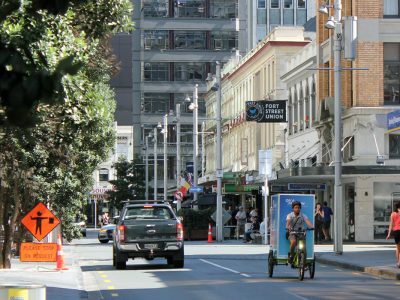 Electric Trikes can travel in cycle lanes, bus lanes, and rest on pavements streamlining and speeding up the entire delivery process. 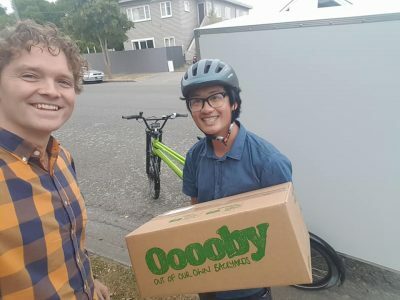 Ooooby’s (Out Of Our Own Backyard) values are about supporting local and get lovely fresh, seasonal and organic produce delivered to your door each week. 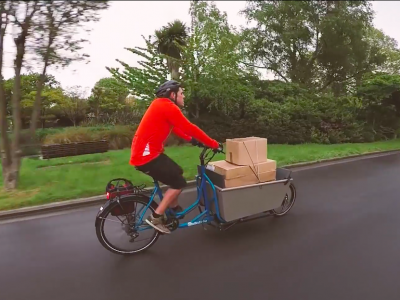 To take the concept full circle they contract out their centrally located weekly deliveries to us – to deliver by electric bike. Meaning the majority of transport emissions on your vegetables have been eliminated. We deliver Bellbird Baked Goods pastries to local cafes on cargo bike Thursdays and Fridays mornings, giving the Bellbird bakers more time to concentrate on baking their exceptional breads as well as reducing overall transport costs and emissions output. and encourage, people on bikes.